The work of Kattia García stems from Cuba's strong documentary tradition. She studied social communication at the University of Havana and worked as a photographer at the National Center for Conservation, Restoration, and Museology in Havana. 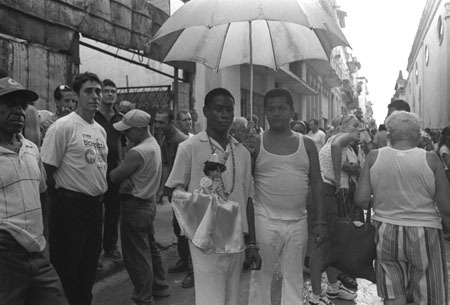 Selected solo exhibitions include Fotografía Cubana, Image and Sound Museum, Sao Paolo (1988) and Untitled, Museo de Villa Clara, Villa Clara, Cuba (1986). Selected group exhibitions include The New Generation, Contemporary Photography from Cuba, Fotofest at Richmond Hall, The Menil Collection, Houston (1994); and Kubanische Fotografie, 1959-1992, Neue Gessellschaft fur Bildende Kunst, Berlin (1992). García lives and works in Havana. Click here for information regarding the "Digging Alone: Five Cuban Photographers" exhibition.